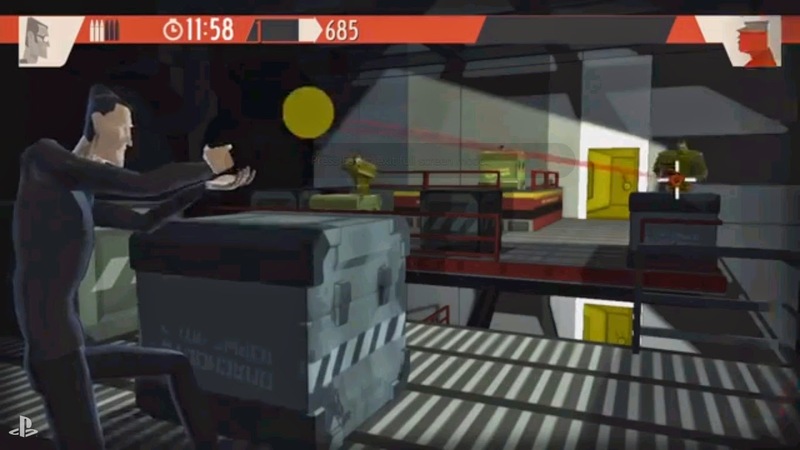 Counterspy is one of my top picks for Vita titles this year; for it's visual style, stealth and action game play, and for the design inspirations the game's developers drew from. Trust me, for the best effect, listen to this music from the game while you read the interview...! PSVH: What is it like to develop for Playstation devices, specifically for the Vita? John: Vita has been a great platform for us. It's such a great little machine and the software lineup is really strong these days, so we are excited to be on the platform! Most of the team here has past experience developing for PlayStation but we are all new to Vita. Luckily, the Vita has a very mature set of development tools and the underlying tech is well architected. Because we've developed the game with cross-platform in mind, we wanted to make sure that the Vita version was well integrated with the other PlayStation platforms. One example of that the game's seamless cloud save feature. Using your PSN id, gameplay progress is kept synchronized on all platforms. 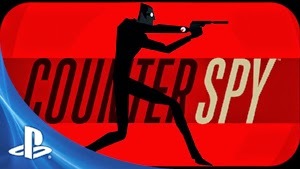 So you could be playing CounterSpy on your PS4 at home, and then switch to your Vita and continue playing if you have to leave the house! PSVH: Are there touch screen controls for the Vita/PS4? John: We've kept the design of the game consistent across all the PlayStation platforms. Our goal with the game was to keep controls simple & intuitive, so the core game play uses the same button inputs for PS3, PlayStation 4, PS Vita. However, all the menus can be navigated using touch controls or the controller. PSVH: How has development proceeded since last year? IGN had some things they didn't like about the game back then and I wonder how developers have overcome those challenges. John: Yeah we showed the game in a pretty early state last year. A lot of the core gameplay was still in early stages and we hadn't yet applied a lot of that final gameplay polish that comes as you approach the end of production. We are really proud of where the game is at now, we've had a lot of positive feedback from people going hands on with the game. E3 was really great this year because we could let people play the game as it was intended. It was great to get so much positive press, especially commenting on how well the game played. We've put SO much work into the game since last year so it was nice to see it paying off! Game development is all about iteration and responding to people's hands on time with the game you are making. Something we do a lot at Dynamighty is regular play tests in the office with friends/gamers that have never played the game before. It's super helpful to get constant fresh eyes on the game because you are so close to it as the developer. This has been a key part of our development process as we made constant refinements to the game since we last showed it a year ago. Dave & I started Dynamighty to make quality games that we care about, so it's important we take the time to get the game right. We've been fortunate to have a partner like Sony, that care about quality as well, so neither of us were in a rush to just push something out the door. It's our first game as a studio, so we want to make sure we took the time to get it right. Now we just can't wait to release the game so gamers can play for themselves! 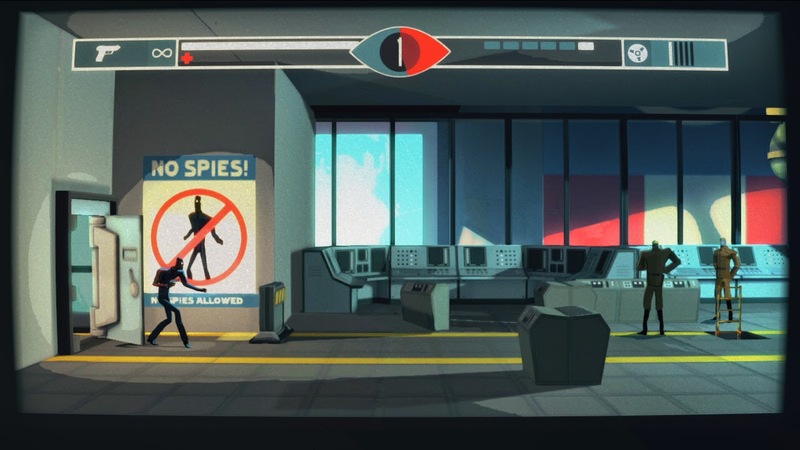 PSVH: What are some of the gameplay styles that makes Counterspy different than other games? What inspirations helped form the game? John: So in terms of gameplay inspiration, we have a collective love for classic side-scrollers. It's such an awesome genre and it's been great to see its renaissance in the last few years. Going way back, I know that a big inspiration for David (Creative Director) was an old C64 game called Impossible Mission. It had jaw-dropping graphics (for the time) and you were running around this underground lair, avoiding deadly robots and stealing intelligence. I also know (because he never stops geeking out about it) that David loves Another World & Flashback, 2 classic games from Amiga and Sega Genesis days. More recently, Shadow Complex was an awesome game that we all played, and also of course Mark of the Ninja. So with all those great games out there, we wanted to make sure our game contributed something of its own to the genre. One aspect of this was the cover combat mode. Because we built our levels in full 3D, we realized we could play around with cameras a lot to open up combat space and provide the player with a different experience from just the pure side-scrolling portion. We also wanted to really explore procedural, and see what elements of that we could bring to the game to support replayability. All the levels get stitched together using procedural elements, so if you die and restart, you won't see the exact same level you played on level 1 and so on. I think also the graphical style, being something we wanted to really nail. 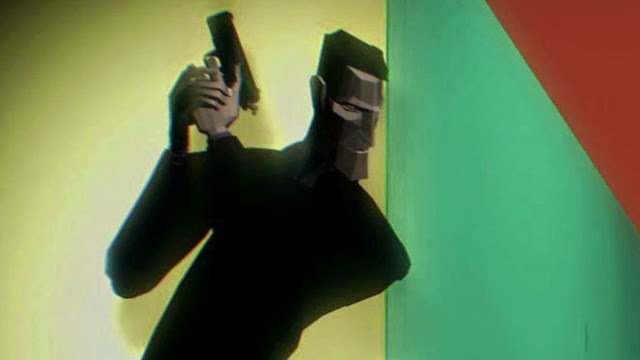 We wanted the game to almost feel like it was an undiscovered espionage thriller ripped from that era. That's why we have an old film grain effect and the CRT curved screen filter. We have super talented artists and it's an aspect that we are very proud of. Finally, we hope people like the humor of the game! It's not intended to take itself too seriously. It's our attempt to poke fun at the powers that be a little bit, and highlight through humor those aspects of the Cold War that felt a little crazy absurd to us! PSVH: Throughout this past year, the game went through a change to be put onto PS4. How is that going? John: We are so happy that sony gave us the chance to work on the PS4. 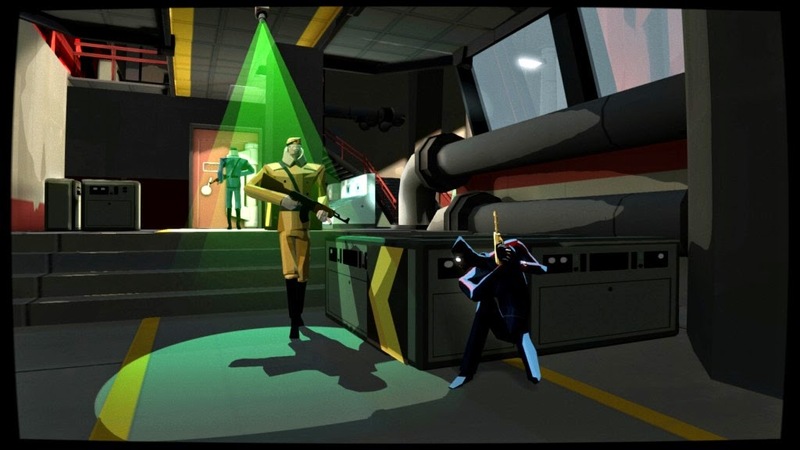 It’s an amazing piece of hardware, and CounterSpy plays really well on it. All that extra processing horsepower means that the game runs extremely smoothly and we can run the game in 1080p as we are targeting 60fps. We also went to town on things like visual FX. It looks really stunning on a big TV and be a great compliment to your PS Vita version! :) We are also super happy that the game is part of Sony's Cross-buy promotion, so people can buy it once and own on all platforms. PSVH: Any additional thoughts/comments about developing this title would be appreciated. John: If people are interested, we post bits and pieces on the development of the game on our tumblr. http://dynamighty.tumblr.com/ So check that out to get a bit more of a peek into what goes on behind the scenes of making our game. Also follow us on twitter @dynamighty and we look forward to people getting their hands on the game soon! Thanks, John! We're honored to have had this opportunity. We look forward to getting our hands on this title. Readers: Let us know below if you have any questions for John. I'd be happy to send a follow up message to him and the rest of Dynamighty!